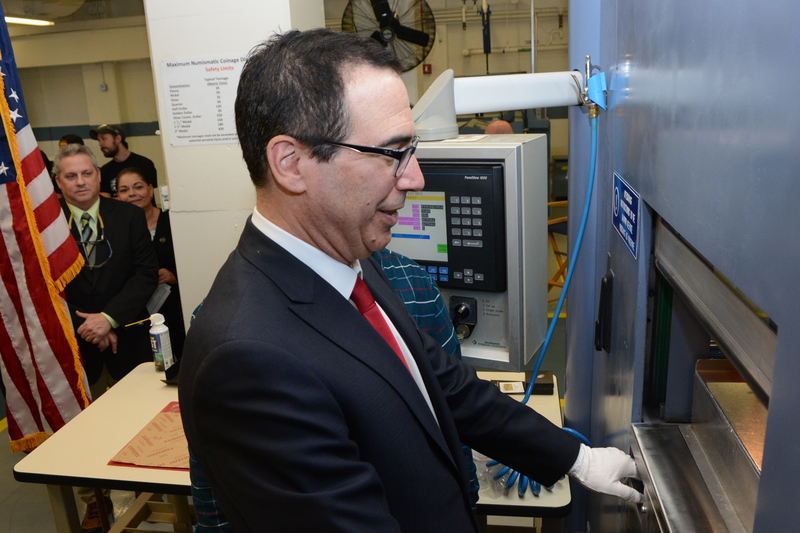 Secretary Mnuchin at the U.S. Mint in Philadelphia on February 22, 2018. 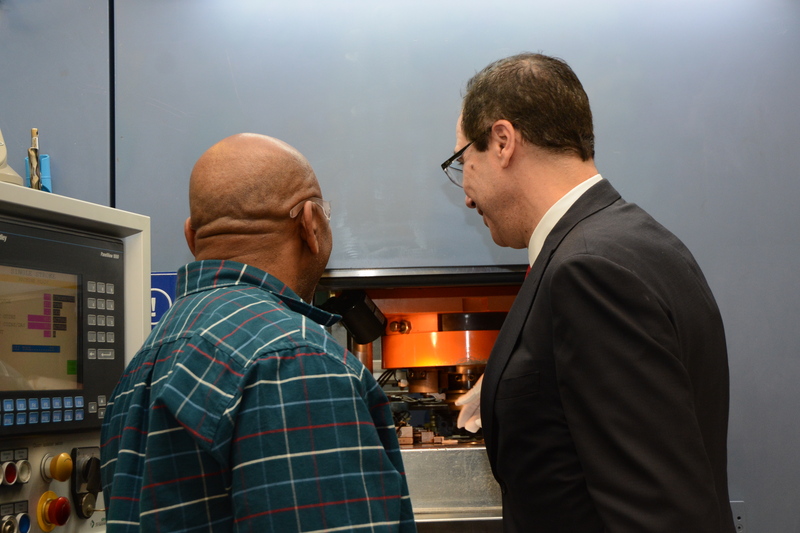 On February 22, 2018, Secretary of the Treasury Steven Mnuchin made his first official visit to the United States Mint at Philadelphia where he met with the facility’s employees and observed various aspects of the coin manufacturing process. 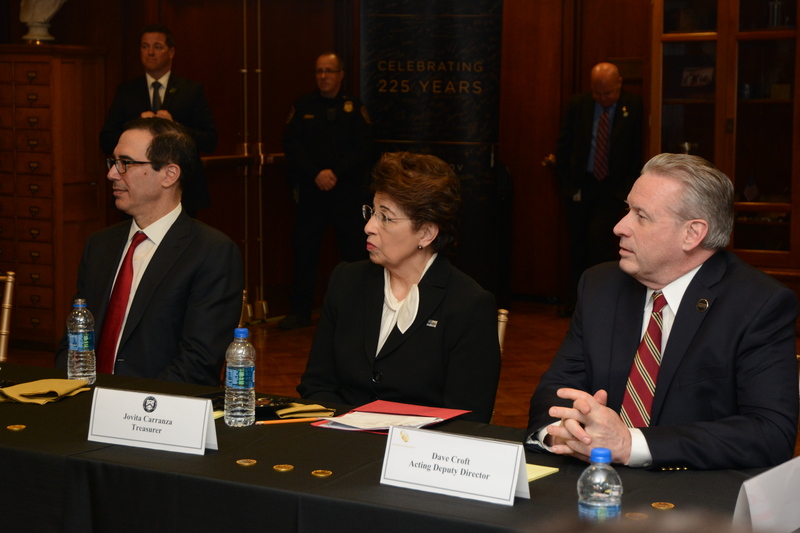 U.S. Mint Acting Deputy Director David Croft, Acting Philadelphia Mint Superintendent Laurie Johnson, and Philadelphia Mint Deputy Superintendent Jim Nicolo welcomed Mnuchin along with other distinguished guests—Treasurer Jovita Carranza and Treasury Assistant Secretary for Public Affairs Tony Sayegh. 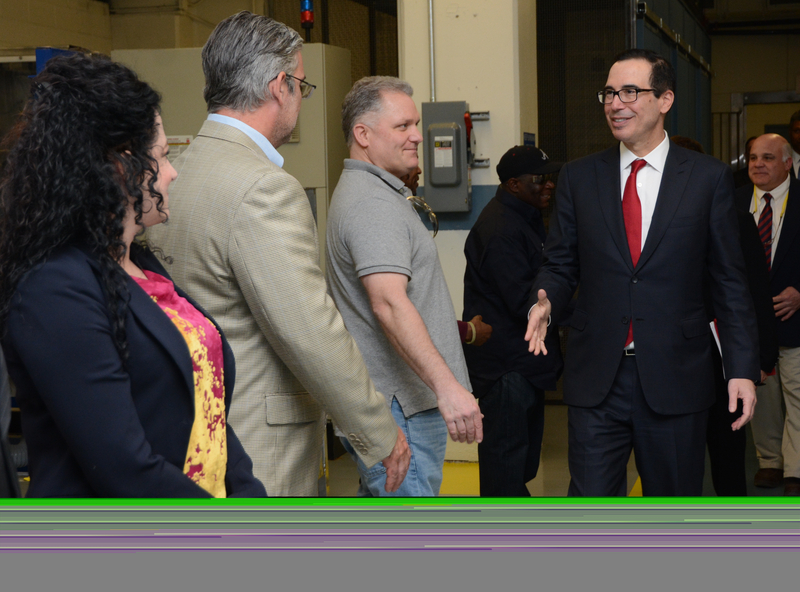 Mnuchin spent the first portion of the afternoon visit in a television interview with reporter Brian Taff of Philadelphia’s local ABC affiliate. Mnuchin then participated in a roundtable discussion with U.S. Mint senior staff members in the Presidents’ Room. 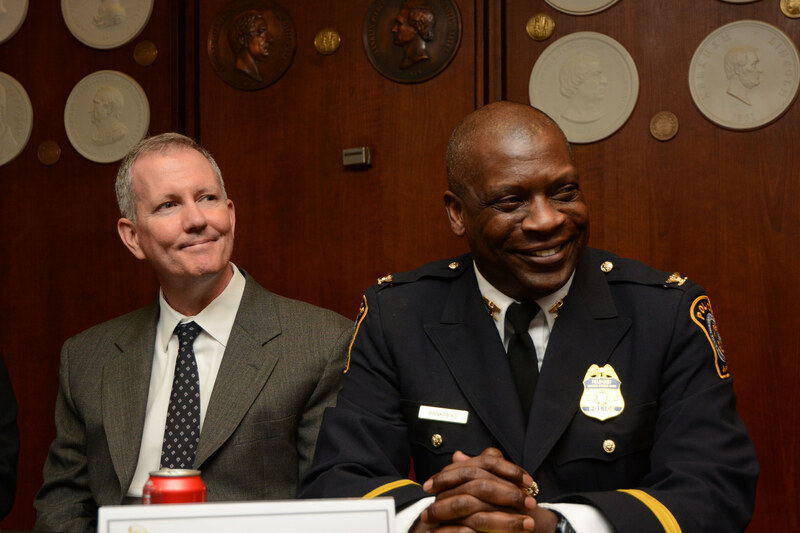 Tim Grant, Public Affairs Manager for the United States Mint at Philadelphia, presented a brief history of the Mint. Laurie Johnson shared a slideshow of a recent Super Bowl party for employees that was hosted by the facility’s senior staff. 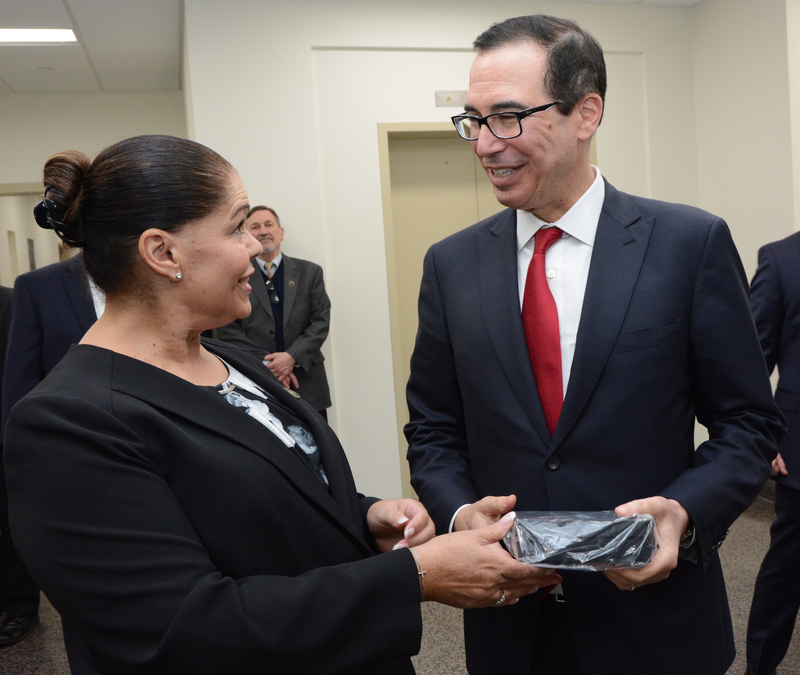 After signing an employee banner in honor of the Mint’s 225th Anniversary, Mnuchin went downstairs and shook hands with employees in the Numismatic Division. Retired sculptor-engraver Don Everhart was also on hand. 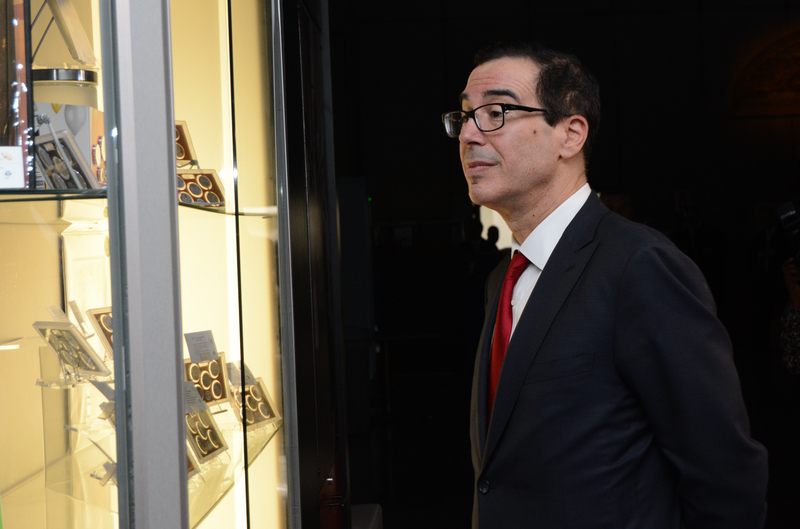 He was formally recognized by Croft for being a recent recipient of the Lifetime Achievement Award in Coin Design by World Coin News, as Secretary Mnuchin and the other honored guests looked on. 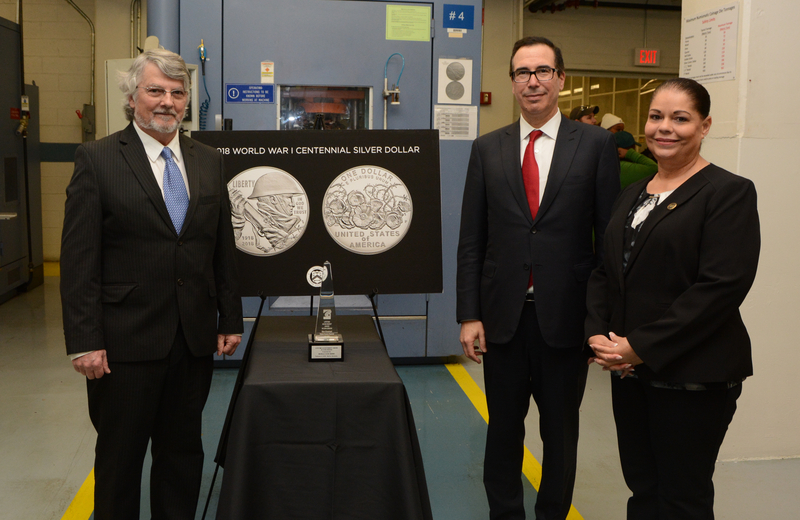 Afterward, Everhart discussed his work on the World War I Centennial Silver Dollar coins, and along with Numismatic Division Chief Vince Frese, showed Mnuchin the finished products. The Secretary of the Treasury was then given the opportunity to strike a World War I Centennial Silver Dollar. 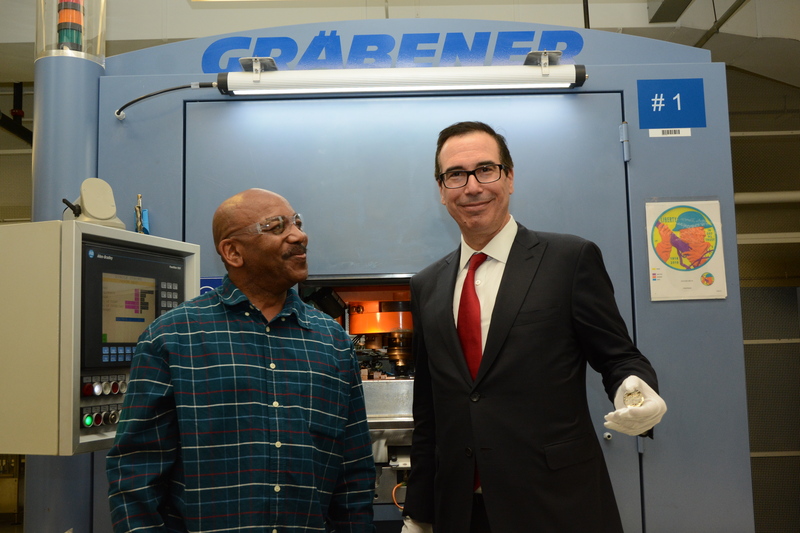 Coin Press Operator Ken Holland walked Mnuchin through the process and assisted him with the strike. Proving to be a quick study, the Secretary subsequently struck a second coin—completely unaided! The last behind-the-scenes stop was the circulating production area. 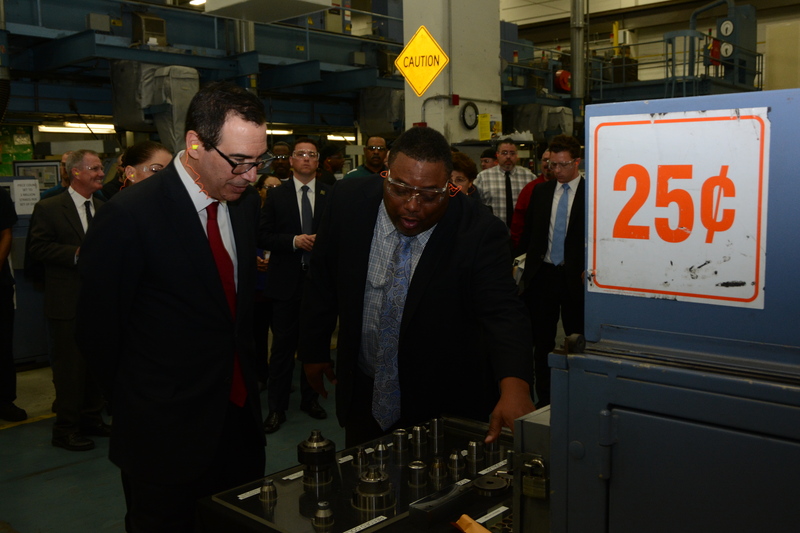 U.S. Mint Coining Division Chief Norm Patterson led Mnuchin and members of his staff on a tour of the one cent and quarter presses, during which Mnuchin met with Coining Division employees. 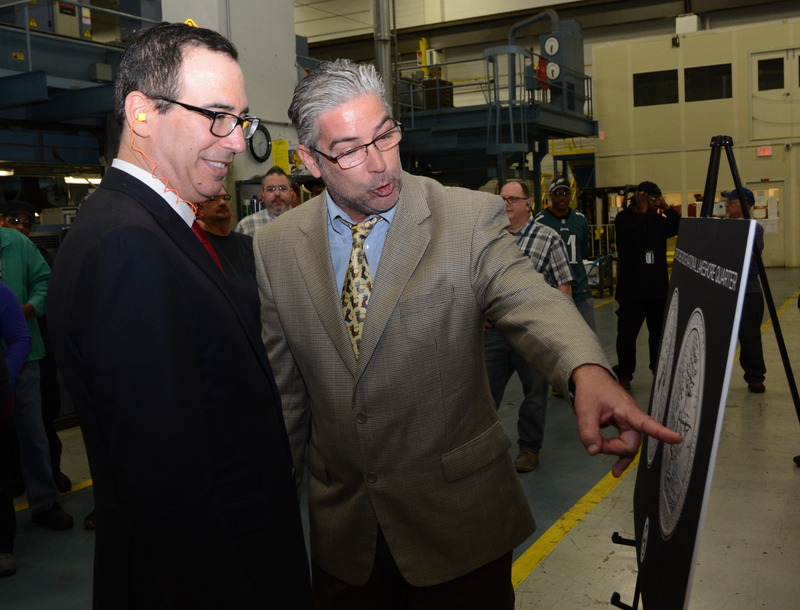 U.S Mint Sculptor-Engraver Michael Gaudioso then discussed his work on the 2018 Pictured Rocks National Lakeshore quarter with Mnuchin. 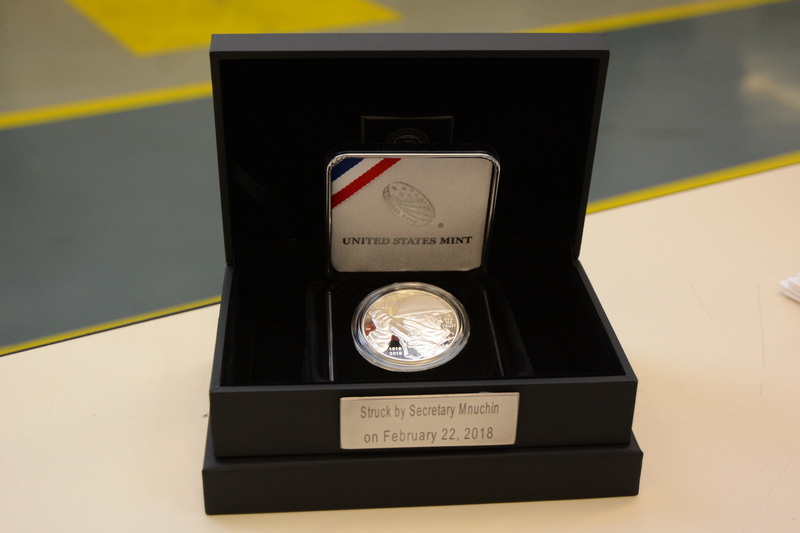 At the conclusion of the manufacturing tour, Johnson presented Mnuchin with the coin he struck. He then attended to one last item of business—a visit to the U.S. Mint gift shop.